Really good value for really good customers! At Dinkums, we value your loyalty so we think it’s only fair that we reward you for it. As a member of the Dinkums Rewards program, you can earn valuable Loyalty Dollars each time you make a purchase. Depending on the product, you’ll get 5% to 10% of the value of the purchase in the form of Loyalty Dollars. Your Loyalty Dollars can then be turned into product discounts – 1 loyalty dollar equals $1 discount – which you can use at any time. And as our range grows, so do the opportunities to really start saving. 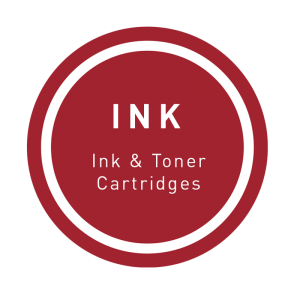 The addition of ink & toner cartridges to our range means you can start bundling your purchases to get bigger discounts, more often! No joining fee. No card. No worries! No card necessary! All you need to do is let the staff know who you are and they’ll make sure your loyalty dollars are allocated to your account. Cash in any amount at anytime! Check your loyalty dollar balance by either giving us a call, emailing us, or checking with our staff in store. Then you decide when you want to use them or even how many you want to use – part payment, full payment or save them for a rainy day. It’s completely up to you. Get your friend to sign up and we’ll give you $10 credit for your trouble! Just get them to come in store or drop us an email as a “Rewards Club” member request. Make sure they mention your name as a referral and we’ll top up your account by way of a $10 credit. How good is that?